Depression is typically defined as “moodiness,” or a state of sadness and “feeling low”. In more extreme cases, depression can also be described as a condition incorporating intense feelings of despair, worthlessness, and hopelessness. But whether the depression affecting an individual manifests itself as simple “moodiness” or “intense and unrelenting feelings of despair,” it can be a stumbling block that interferes with the ability to launch. Therefore, the Red Mountain team takes the prompt and in-depth treatment of depression very seriously. We define depression as “a debilitating state of sadness that persists with a person over a long period of time.” The degree may vary, but the constant manifestation of this type of emotion concerns us greatly. It is difficult to have the confidence to live independently when you are constantly unhappy, without internal feelings that spark possibility or hope. 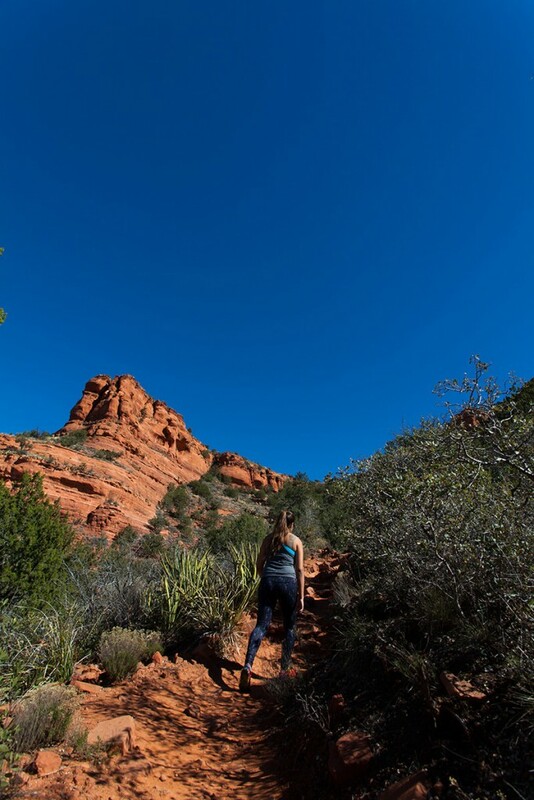 Before their arrival, many of Red Mountain Sedona’s students have experienced prolonged depressive episodes, which either led to self-medication as a means of finding relief or kept them from being confident enough to claim life as their own. They often take up various negative behaviors to dull the pain, attempting to find some sort of alternative. Students sometimes arrive at RMS with these poor habits, which are actually symptoms of the depression they have been trying to overcome. The reverse can also be true; some students fell into a pattern of depression after first ceasing other non-working behavior. 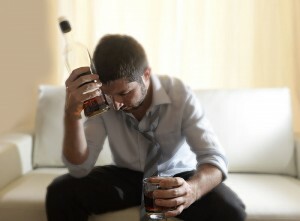 In these cases, depression can emerge in the aftermath of battling substance use or other negative behavior. Depression can also occur alongside anxiety or other mood issues. In fact, most RMS students have experienced some form of depression prior to their arrival. We therefore expect that most of them will likely deal with this problem on some level after their arrival. Therefore, we view this condition as something we expect and are prepared to address. What Impact Does Depression Have on “the Launch” Process? The Red Mountain client has often neglected critical personal needs related to their physical, emotional, and psychological well being. • Advance one’s life through sound strategy and a well- thought-out design. Self-advocacy is also seeking and obtaining the knowledge needed to succeed, and taking responsibility for all the decisions that lead to a positive future. The outcome of practicing self-advocacy is a healthy self-image, renewed and robust self-confidence, optimism, and the end of self-sabotaging behaviors. “Debilitating depression” is a completely different matter. It is a dark mood that persists and ultimately interferes with a person’s ability to function in life. Those afflicted with debilitating depression cannot properly engage in their own lives and, if necessary, take the necessary steps in the launch process. It is not unusual for students with long-term substance issues and other non-working behaviors to face debilitating bouts of depression. Although depression is not the typical human experience, with those who have failed to launch, some form of depression is almost inevitable. Therefore, at RMS we are prepared to provide treatment for depression to all of our students. Our main concern is that depression greatly diminishes a person’s ability to function, and can prevent anyone from staying focused on recovery – if it gets to be too much, there is a tendency to give up. Therefore, the effective treatment of depression is one of our highest priorities. Those who are battling mental health issues and non-working patterns of behavior often emerge from their depression very early in their time with us. Those who experience this shift during the initial stage of their Red Mountain process stop using substances, eat healthy meals, sleep an appropriate amount, exercise, and engage in healthy activities of all kinds. In the face of these new life patterns, the depression will often lift, and hope fills the void. These are the lucky ones and their treatment takes on a more predictable pattern of success. However, many students experience deeper depression that is rooted in something else. At Red Mountain Sedona, we stand ready to support those who have a more challenging road in coping with depressive states. Specifically, we address depression through leading our students toward “little victories” which over time lead to a sense of self-esteem and empowerment. These are powerful antidotes to depression. Securing employment, community service, academic success, and other positive experiences help our students to overcome depression in a very powerful way. RMS goes beyond traditional treatment modalities for depression in that all of our students engage in a daily matrix of activities aimed at the healing of the body, mind, and spirit. This includes mindfulness, meditation, individual therapy, community groups, community service projects, martial arts training, and vigorous physical activity. They also eat a healthy diet and are provided opportunities for plenty of rest and sleep. Together, these combined interventions work synergistically, and our students—including those dealing with depression—stay engaged in the healing process and grow at a rapid rate. At Red Mountain Sedona, we help young people find the joy and meaning in their lives that should come naturally. We help them develop skills for maneuvering around life’s difficult corners, and give them the tools to turn their inherent potential into reality. We are advocates of change and make it our mission to help them cease all harmful, self-defeating behaviors, which are replaced with proven habits that instill wisdom, confidence, self-esteem, and self-determination. Those who are afflicted with depression often feel there is a wall between themselves and true happiness. At Red Mountain Sedona, we help our students tear down the wall and experience the joy of healthy living on the other side.